Dyson DC07, DC15 Spring Wand Catch Dyson Part Number: 900199-06 Dyson spring for wand catch..
Dyson DC11, DC15 Brush Tool Clip Steel Dyson Part Number: 906416-01 This steel Brush Tool C..
Dyson DC11, DC15 Fastener Dark Steel Dyson Part Number: 900130-17 Soleplate Faste..
Dyson DC14, DC15 Bin Assembly Dyson Part Number: 908657-02 Replacement bin assembly fo..
Dyson DC14, DC15 Cyclone Release Catch Yellow Dyson Part Number: 908950-10 Dyson Yellow Cyc..
Dyson DC14, DC15 Dust Bin Base Assembly Dyson Part Number: 909001-01 Dyson Bin Base Assy. ..
Dyson DC14, DC15 Fine Dust Collector FDC Seal, 907399-01 Dyson Part Number: 907399-01 Fine ..
Dyson Pre Motor Filter Washable DC14, DC15, 908483-01 Dyson DC14, DC15 Pre Motor Filter Washable U..
Dyson DC15 Axle Stand Assembly Dyson Part Number: 907462-01 Axle Stand Assembly for Dyson D..
Dyson DC15 Back Body Duct Assembly Dyson Part Number: 909614-01 Genuine Dyson spare part fo..
Dyson DC15 Ball Wheel Assembly Lavender Dyson Part Number: 909577-03 Lavender Ball Wheel Assembl..
Dyson DC15 Ball Wheel Assembly White and Yellow Dyson Part Number: 909577-02 White and Yellow Ba..
Dyson DC15 Ball Wheel Assembly Yellow Dyson Part Number: 909577-01 Yellow Ball Wheel Assembly fo..
Dyson DC15 Brush Bar Switch Button Transparent Scarlet Dyson Part Number: 907881-05 Dyson Transp..
Dyson DC15 Brush Housing Assembly Dyson Part Number: 912880-01 Genuine Dyson DC15 Brushbar Housi..
Dyson DC15 Brush Tool Dyson Part Number: 908043-01 Articulated head for ease of use and ..
Genuine Dyson DC15 Brushbar Motor Assembly Dyson Part Number: 909617-01 Replacement brushbar moto..
Genuine Dyson DC15 Motorhead Brushbar/Agitator Assembly Genuine Dyson DC15 Brushbar/Agitator Assemb..
Dyson DC15 Brushroll Motor Bottom Mount Dyson Part Number: 907890-01 Genuine Dyson spare part. 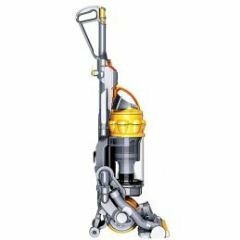 ..
Dyson DC15 Brushroll Motor Top Mount Dyson Part Number: 907889-01 Genuine Dyson spare part for b..
Dyson DC15 Bumper Yellow, 907436-01 Dyson Part Number: 907436-01 Bumper for Dyson DC15 Series. ..
Dyson DC15 Cable/Cord Protector, 903382-02 Dyson Part Number: 903382-02 Cable/Cord Protector for..
Dyson DC15 Circlip Dyson Part Number: 909713-03 Dyson Circlip. Suitable for: Dyson DC15 Upright..
Dyson DC15 Complete Soleplate Kit Dyson Part Number: 909615-03 Dyson Complete Soleplate Kit Asse..
Dyson DC15 Crevice Tool Dyson Part Number: 908038-01 This high velocity airflow crevice tool is ..
Dyson DC15 Cyclone assembly, 908658-09 Dyson Part Number: 908658-09 Replacement cyclone assembly..
Dyson DC15 Cyclone Assembly, 908658-11 Dyson Part Number: 908658-11 Genuine Replacement Dust Cyc..
Dyson DC15 Duct Cover Seal, 907488-01 Dyson Part Number: 907488-01 Duct Cover Seal for Dyson DC1..
Dyson DC15 Duct Valve Seal, 907492-01 Dyson Part Number: 907492-01 Duct Valve Seal for Dyson DC1..
Dyson DC15 End Cap Assembly Left Dyson Part Code: 909549-01 Replacement end cap assembly - left - ..
Dyson DC15 End Cap Assembly Right Dyson Part Code: 909548-01 Replacement end cap assembly - Right ..
Dyson DC15 Exhaust Seal, 908869-01 Dyson Part Number: 908869-01 Exhaust Seal for Dyson DC15 Seri..
Dyson DC15 Fancase Seal, 907272-01 Dyson Part Number: 907272-01 Fancase Seal for Dyson DC15 Seri..
Genuine Dyson DC15 Floor Tool, Low Reach, Steel Dyson product code: 904136-30 Replacement Dyso..
Dyson DC15 Gimble Clip Large, 908978-01 Dyson Part Number: 908978-01 Large Gimble Clip for Dyson..
Dyson DC15 Gimble Clip Small, 907316-01 Dyson Part Number: 907316-01 Small Gimble Clip for Dyson..